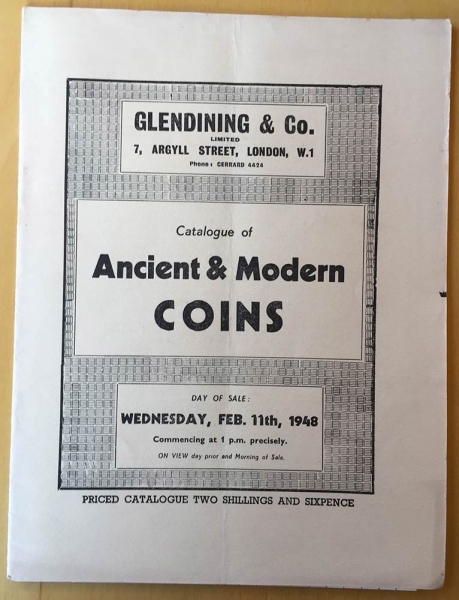 Glendining & Co. Catalogue of Ancient & Modern Coins. 11 February 1948. Glendining & Co. Catalogue of Ancient & Modern Coins. 11 February 1948. Brossura ed. 14 lotti 191. Buono stato.